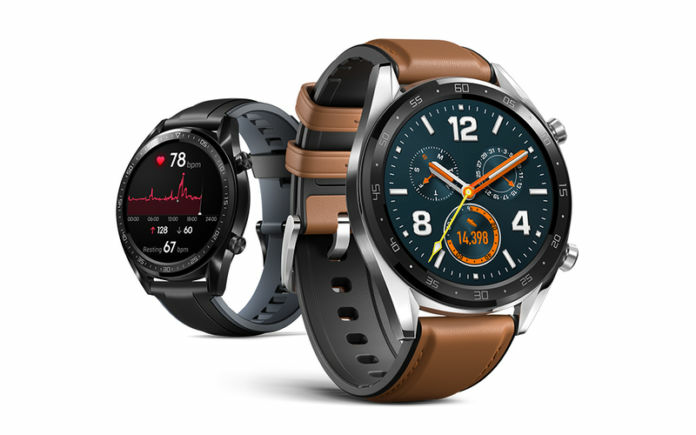 The Huawei Watch GT is Huawei’s first premium smartwatch with its custom software named Lite OS. It has a metal shell and ceramic bezels. 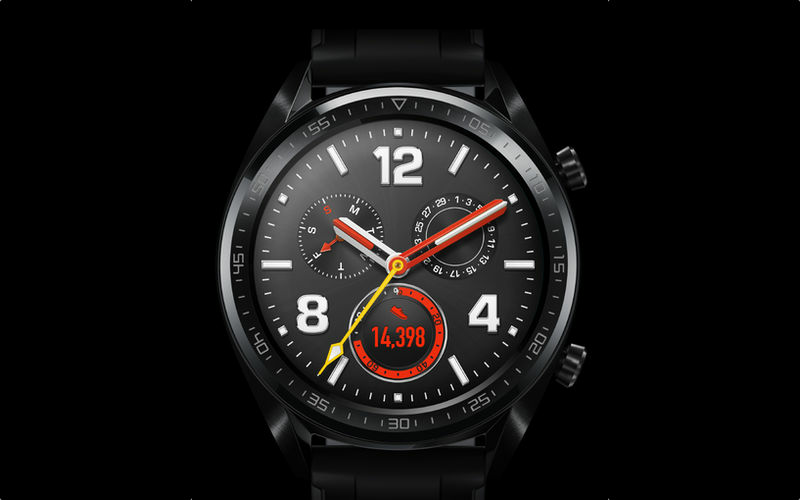 The Watch GT’s 1.39-inch circular AMOLED screen has a resolution of 454×454 pixels. It has Huawei’s custom processor with ‘double chipset’ architecture for better performance and higher power efficiency. The 5 ATM water-resistant watch features Huawei TruSeen 3.0 heart-rate monitoring technology, more accurate GPS tracking, various indoor and outdoor activity tracking, multi-sport mode, and sleep tracking. It is compatible with both Android and iOS smartphones and can show calls and notifications from the paired phone. It has Bluetooth but lacks Wi-Fi connectivity. There’s a 420mAh battery and can last up to two weeks of typical usage. The Huawei Watch GT price in India is expected to be Rs 13,999 for the Sport variant. The Huawei Watch GT Classic price in India is expected to be Rs 17,499. The Huawei Watch GT could be launched in mid-2019. 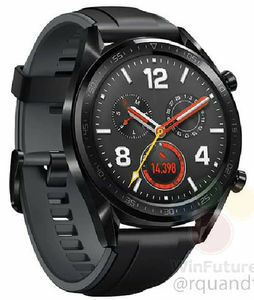 The Huawei Watch GT, like most other smartwatches, features a 1.39-inch completely circular AMOLED screen with a resolution of 454×454 pixels, resulting in a pixel density of 326ppi. It comes in two watchcase color variants: Classic and Sport. Users can then choose from four watchband colors: Fluorescent Green (Silicone), Glacier Grey (Silicone), Graphite Black (Silicone), and Saddle Brown (Leather). There are two buttons on the right side of the screen: home and function. The watch has a metal case (316L stainless steel), ceramic bezels, and silicone/leather straps. The Huawei Watch GT comes with a 5 ATM capable design for dust and water resistance, so you can take it for a swim. Instead of using Qualcomm’s Snapdragon 2100 or Snapdragon 3100 processors, the smartwatch uses Huawei’s own ‘double chipset’, an industry first. The chipset has two high-performance Cortex M4 CPU cores and two power-efficient Cortex M4 CPU cores. There’s 128MB of ROM (actual storage space varies) and just 16MB of RAM. 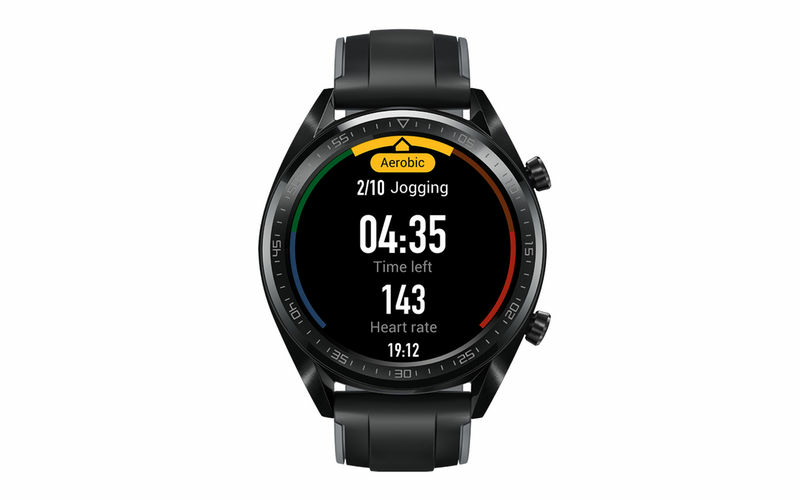 The watch features various sensors, including an accelerometer, ambient light sensor, barometer, gyroscope, magnetometer, and an optical heart rate monitor. There are Bluetooth 4.2, GPS and NFC connectivity features, but lacks Wi-Fi or cellular connectivity. 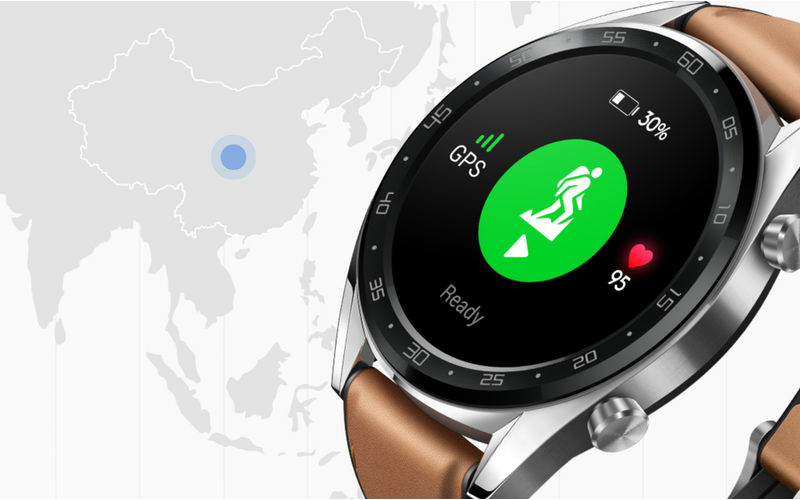 Huawei claims that the Watch GT can connect to more satellites at once (using BeiDou, GLONASS and GPS) for more accurate location tracking while runs and other activities. Even the heart rate monitor on this watch, combined with Huawei TruSeen 3.0 heart rate monitoring technology and innovative sensors, offers a more efficient-yet-accurate real-time heart rate info. It has sleep tracking, too, which is just as important as activity monitoring these days. Unlike many smartwatches in the industry, the Huawei Watch GT runs Huawei’s Lite OS. It is compatible with smartphones running Android 4.4 KitKat and iOS 9.0 operating systems. The design of the Lite OS software seems like a middle step between Google’s Wear OS and Samsung’s Tizen Wearable software. 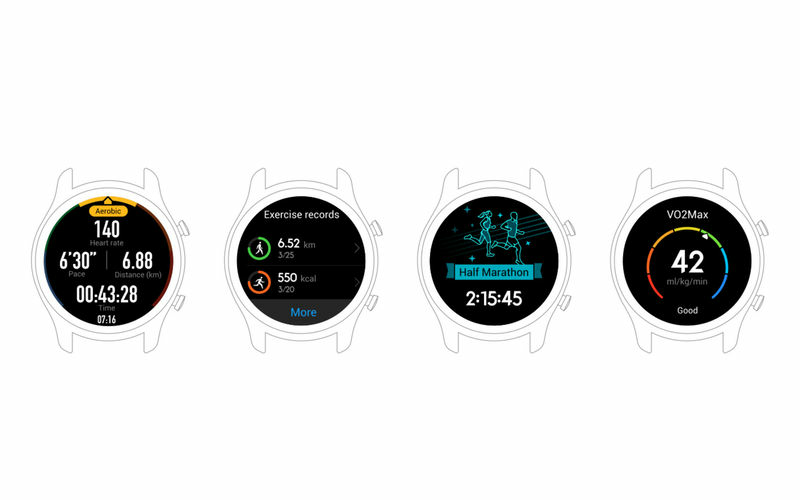 The watch gets shipped with various attractive watch faces and exercise modes. 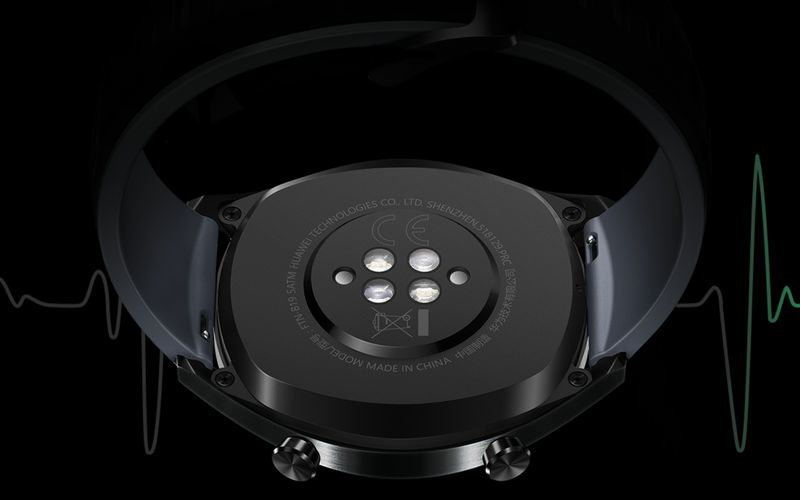 The watch can show calls and notifications from the paired smartphone. The Huawei Watch GT is equipped with a 420mAh battery. It comes with a wireless charging thimble instead of true Qi wireless charging. Thanks to the power-efficient chipset design and the Lite OS’ software optimizations, the Huawei Watch is claimed to offer up to two weeks (14 days) of battery life. This is with always-on heart rate monitoring and 90-minute exercise per week. The battery can last up to 22 hours of continuous exercise tracking with GPS and heart rate monitoring turned on. If used for calls and messages only, the Huawei Watch GT can last up to 30 days on a single charge.